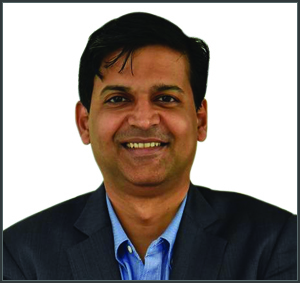 Mayur Danait is currently the Chief Information Officer at Lupin, and has over 20 years of experience across the consulting, IT, consumer goods and pharmaceutical domains. His key role at Lupin is to align the organisation’s IT strategy to its business goals, and leverage technology to deliver superior business results. With Lupin since 2010, Mayur is driving an IT roadmap with a focus on ERP, Manufacturing Automation, Business Intelligence, Information Security, globalisation and productivity. At Lupin, he has initiated and program managed various global initiatives in the ERP, Analytics, IT Infrastructure and IT Security domains. Lupin has been a pioneer in the adoption of Cloud and Productivity technologies. Prior to joining Lupin, Mayur had several years of cross-industry experience across a spectrum of organisations including Eastman Kodak, SAP and Asian Paints. He is a regular speaker at pharma and IT industry events, and has been the recipient of numerous industry recognition awards. He holds an MBA in Operations from IIM Lucknow and a BTech in Mechanical Engineering from IIT Bombay.